This is a fantastic group. 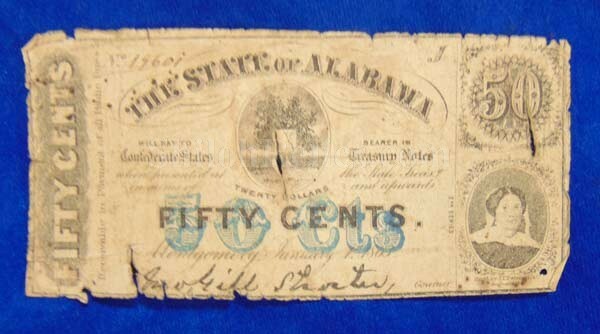 This is a lot of 15 original 1863 Dated Civil War 50 cent notes from the State of Alabama. They each have the likeness of the Alabama state seal in the upper center of the note. The state seal during the Civil War for the state of Alabama was the map on tree. In the lower right hand corner it has the image of Mrs. Juliet Opie Hopkins who was known for her contributions in providing hospital and medical care for Confederate troops during the Civil War. 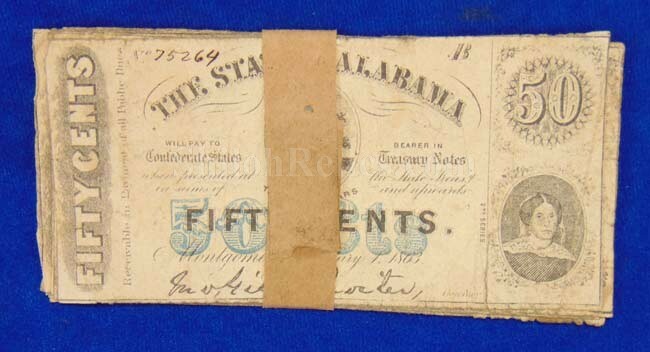 They all have the correct printed signatures as well as the January 1st 1863 issuance date at the bottom of the note. Up in the top left hand corner they have the hand written serial number which is correct for this note. If you notice the paper has the blue ink "50 Cts” printed in the center. 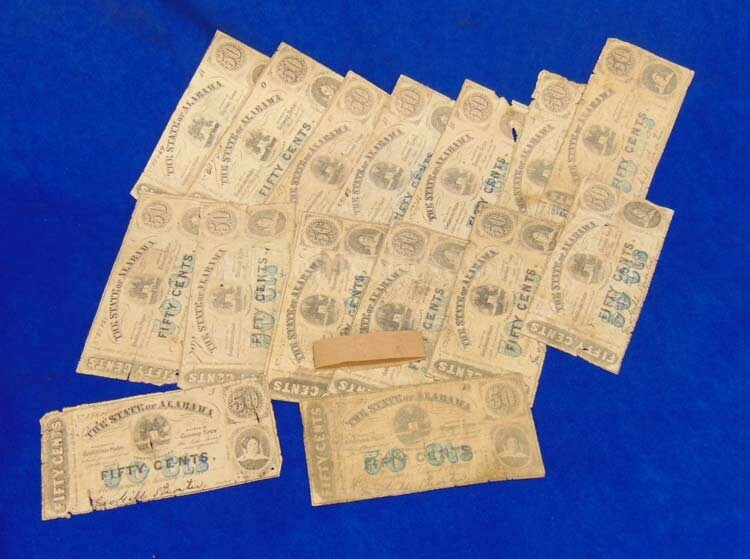 This was added to help prevent counterfeiting of the notes. Each note measures 5.25 inches by 2.5 inches in overall size. 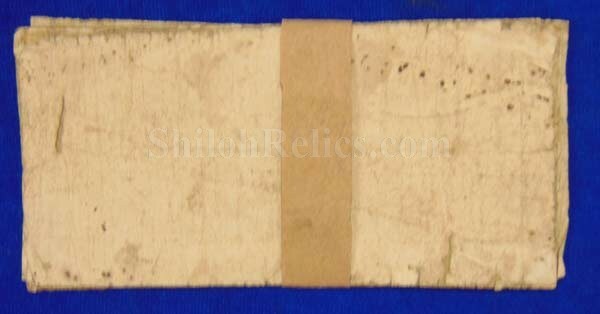 The notes are in attractive but well circulated condition and each note is 100% authentic. They still retain the original paper wrapper that has held them since the time they were used.